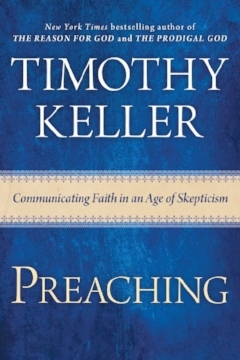 Pastor, preacher, and New York Times bestselling author Timothy Keller’s wisdom on communicating the Christian faith from the coffee shop as well as from the pulpit. Most Christians—including pastors—struggle to talk about their faith in a way that applies the power of the Christian gospel to change people’s lives. Timothy Keller is known for his insightful, down-to-earth sermons and talks that help people understand themselves, encounter Jesus, and apply the Bible to their lives. In this accessible guide for pastors and laypeople alike, Keller helps readers learn to present the Christian message of grace in a more engaging, passionate, and compassionate way. If you want to see ‘between the lines’ and just ‘below the surface’ of our cultural moment and societal ethos... Which is to say, if you are any kind of Christian leader, teacher, writer, blogger, public thinker, politician, artist, media person, campus minister, youth leader, parent, Christian educator, spiritual director, or anyone with influence... then this is going to be exceptionally helpful for you.